Sitting on the River Teign, just inland from Torquay on the southwest coast of England, Newton Abbot is a market town in Devon. With a population of approximately 25,000, there’s a good variety of housing in the area to suit all kinds of tastes and budgets. At My Home Move Conveyancing we offer a specialist, fixed fee conveyancing service, and have been developing our knowledge and expertise of property markets like Newton Abbot’s since 2001. If you want to buy or sell property in Newton Abbot, you’ll have to instruct property lawyers to carry out the legal work for you. 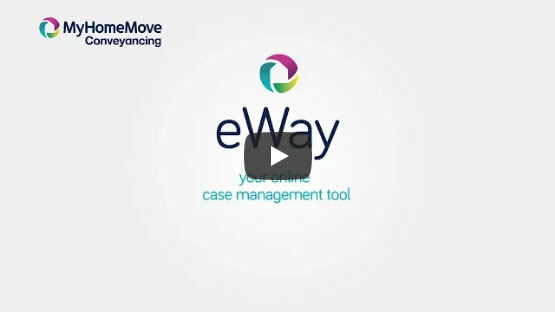 By choosing My Home Move Conveyancing as your Newton Abbot conveyancers, you’ll gain access to our award winning customer service, innovative use of technology and expertise in the local market. Our professional, market-leading conveyancing service comes for a fixed fee, so you know exactly what you’re paying right from the start. What’s more, if you don’t end up completing, you won’t have to pay us a thing. We assign a dedicated conveyancer to all of our clients, who’ll look after your case from start to finish, and provide you with regular updates on your progress that are easy to understand. At My Home Move Conveyancing, we bring a positive approach to everything we do, and get things right first time round. We’re proud to provide our conveyancing services in Newton Abbot to homebuyers across the area, from those looking for something in the town centre, close to the train station and in spots like Bradley Valley and Highweek. The average house price in the district of Teignbridge is £235,976, while in Newton Abbot the overall average sale price during the last 12 months was £218,049. Most sales in this period involved terraced properties, which went for an average of £168,753, while detached houses fetched £306,567 and semis £213,944. The local area has long been settled thanks to its strategic position on the River Teign, including by the Romans and Normans, who built a castle on Highweek Hill. Newton Abbot was granted a market charter in the middle of the 13th century, which helped the town to thrive, before the Victorian era saw lots more growth thanks to Newton Abbot being home of the South Devon Railway Company. There are plenty of landmarks to check out in the area, from St Leonard’s Tower to Forde House and Bradley Manor. Newton Abbot is around seven miles from Torquay on the English Channel coast, and there are trains which head to the seaside town which take just over ten minutes. You can get to Exeter in less than 20 minutes, while London can be reached in two and a half hours. The A380 road passes through Newton Abbot heading south to Paignton and north to Exeter, where you can pick up the M5 motorway. There are some excellent schools in the area for families with children to take into account, including Decoy Primary, Canada Hill Primary and St Michael’s CofE. Newton Abbot College, Coombeshead Academy and Teign School are among the local secondary choices, while South Devon is a mixed University Technical College which provides education for children aged between 14 and 19. All properties in Newton Abbot will fall within one of the following council tax bands.